The big three ended the week little changed from where they settled the previous Friday. The Dow Jones Industrials rose 0.17%, while the S&P 500 Index gained 0.05%. The NASDAQ Composite ended the week up 0.47%. Looking at international stocks, the MSCI EAFE index retreated 0.47%. equivalent to 3-6 months of living expenses. Sticking to a budget can help a household save over time. January’s Consumer Price Index, which measures monthly and yearly inflation. December retail sales figures (a delayed release due to the government shutdown). January’s preliminary University of Michigan consumer sentiment index, a gauge of consumer confidence levels. Payrolls swelled with 304,000 net new jobs last month, according to the Department of Labor’s February employment report. (A Bloomberg survey of economists had projected a gain of 165,000.) The number of Americans temporarily laid off or working part time for economic reasons increased greatly in January as a consequence of the partial federal government shutdown; that left the unemployment rate (4.0%) and underemployment rate (8.1%) higher. Average hourly wages were up 3.2% year-over-year. Additionally, the factory sector expanded at a faster pace last month: the Institute for Supply Management’s purchasing manager index improved 2.5 points to a mark of 56.6. The Federal Reserve made no interest rate move last week, but at its January 30 press conference, Fed chairman Jerome Powell had an interesting comment for the media: “We believe we can best support the economy by being patient before making any future adjustment to policy.” To investors large and small, that remark sounded like a declaration that the central bank was ready to exercise extra caution in considering future rate increases. Powell noted the recent emergence of “some crosscurrents and conflicting signals about the [economic] outlook” as a factor. The latest readings on the country’s two most-watched consumer confidence indices look good, but one just took a major fall. The Conference Board’s monthly index went from a December mark of 126.6 to 120.2 in January. In its final January edition, the University of Michigan’s consumer sentiment gauge displayed a 91.2 reading, up 0.5 points from its preliminary version. Last week, the Dow Jones Industrial Average, S&P 500, and Nasdaq Composite all gained more than 1.3%, thanks in part to some of the developments mentioned above. The S&P rose 7.87% during January. Oil ended the week at $55.31 on the NYMEX; gold, at $1,322.60 on the COMEX. Federal Reserve chair Jerome Powell takes questions at a Washington, D.C. town hall meeting. | On Thursday, the earnings roll call includes news from ArcelorMittal, Dunkin’ Brands, Fiat Chrysler, Kellogg, L’Oréal, Marathon Petroleum, Mattel, Motorola Solutions, News Corp., Philip Morris, Twitter, Tyson Foods, and Yum! Brands. | Friday, Exelon, Hasbro, and Phillips 66 present Q4 results.
. How can you make this happen? This material was prepared by MarketingPro, Inc., and does not necessarily represent the views of the presenting party, nor their affiliates. The information herein has been derived from sources believed to be accurate. Please note – investing involves risk, and past performance is no guarantee of future results. Investments will fluctuate and when redeemed may be worth more or less than when originally invested. This information should not be construed as investment, tax or legal advice and may not be relied on for the purpose of avoiding any Federal tax penalty. This is neither a solicitation nor recommendation to purchase or sell any investment or insurance product or service, and should not be relied upon as such. All market indices discussed are unmanaged and are not illustrative of any particular investment. Indices do not incur management fees, costs, or expenses. Investors cannot invest directly in indices. All economic and performance data is historical and not indicative of future results. The Dow Jones Industrial Average is a price-weighted index of 30 actively traded blue-chip stocks. The NASDAQ Composite Index is a market-weighted index of all over-the-counter common stocks traded on the National Association of Securities Dealers Automated Quotation System. The Standard & Poor’s 500 (S&P 500) is a market-cap weighted index composed of the common stocks of 500 leading companies in leading industries of the U.S. economy. NYSE Group, Inc. (NYSE:NYX) operates two securities exchanges: the New York Stock Exchange (the “NYSE”) and NYSE Arca (formerly known as the Archipelago Exchange, or ArcaEx® , and the Pacific Exchange). NYSE Group is a leading provider of securities listing, trading and market data products and services. The New York Mercantile Exchange, Inc. (NYMEX) is the world’s largest physical commodity futures exchange and the preeminent trading forum for energy and precious metals, with trading conducted through two divisions – the NYMEX Division, home to the energy, platinum, and palladium markets, and the COMEX Division, on which all other metals trade. Additional risks are associated with international investing, such as currency fluctuations, political and economic instability and differences in accounting standards. This material represents an assessment of the market environment at a specific point in time and is not intended to be a forecast of future events, or a guarantee of future results. MarketingPro, Inc. is not affiliated with any person or firm that may be providing this information to you. The publisher is not engaged in rendering legal, accounting or other professional services. If assistance is needed, the reader is advised to engage the services of a competent professional. Seldom do existing home sales fall 6.4% in a month, but that was what happened in December. National Association of Realtors economist Laurence Yun called the drop a reflection of “consumer search processes and contract signing activity in previous months when mortgage rates were higher than today,” and noted that the housing market could be poised for a spring rebound. Year-over-year, the NAR noted, resales were down 10.3%. The median existing home sale price was $253,600 last month, up 2.9% from December 2017.
stated that Federal Reserve policymakers are reportedly considering an end date for the unwinding of the central bank’s huge bond portfolio. Investors will, no doubt, scrutinize the Federal Open Market Committee’s January 30 monetary policy statement for any intimations about this. In gradually shrinking its balance sheet over the last 15 months, the Fed has affected the level of liquidity within the financial markets. All three major U.S. equity benchmarks posted slight gains this past 4-day trading week, adding to the extended rally that began after Christmas. At Friday’s close, the S&P 500 was up 7.20% month-over-month, and the Dow Jones Industrial Average was on a 5-week winning streak. Friday’s sudden agreement between President Trump and Democratic congressional leaders to end the partial federal government shutdown was but one positive factor influencing stocks. Some key earnings announcements surprised to the upside: China’s government said that it would inject $37 billion worth of liquidity into its money markets, and investors heard that the Fed might be thinking of wrapping up the unwinding of its balance sheet sooner rather than later. , and see if you can plan to reduce any extra costs during the slow months. Want to improve the flavor of your food in a heart-healthy way? Add more herbs and spices. Cumin, ginger, cayenne, and countless others are loaded with antioxidants and other phytonutrients. So, sprinkle on a little (or a lot), and enjoy! “Be always at war with your vices, at peace with your neighbors, and let each new year find you a better man. What is the standard monthly Medicare Part B premium for 2019? Tough decision? Try the 10/10/10 Rule. You might retire sooner than you think. Keep digital distractions from consuming too much of your attention. editor Suzy Welch, asks you to weigh a decision from three perspectives, using three questions. How will I feel about this choice 10 minutes from now? How will I feel about this choice 10 years from now? The core of the 10/10/10 Rule is that your decision should ultimately reflect your strongest responses to these questions. For example, if you are thinking about buying a personal watercraft, but doubt strongly that you will head out on a lake with it more than two or three times a year, you may feel great shortly after you buy it, but really regret the purchase ten years on. If you are considering starting a workout regimen, you may feel lousy ten minutes in – but your mind will also let you know that if you keep working out for ten months or ten years, you may look and feel better. Even making minor decisions using the 10/10/10 Rule may let you see these decisions in a new context. Do you see yourself working full time well into your sixties, either by choice or necessity? If that is a goal, you should also note the statistics on when and why many Americans retire. Yes, some baby boomers and Gen Xers will be healthy enough to keep working into the years that they may begin claiming Social Security; in fact, you may become one of them. The question is whether your job or career will last long enough to meet those expectations. According to recent Transamerica research, 56% of current U.S. retirees ended their careers sooner than they anticipated – and in 54% of those occasions, it was because of a job-linked development. Digging a bit deeper, 24% indicated they left because they were let go; another 22% mentioned a change of control or a similar organizational evolution that left them unemployed. In some physically demanding careers, health issues lead some workers to retire in or before their early sixties. Can you imagine having to retire prior to age 62, the earliest time at which you can file for Social Security? Medicare eligibility begins at age 65. 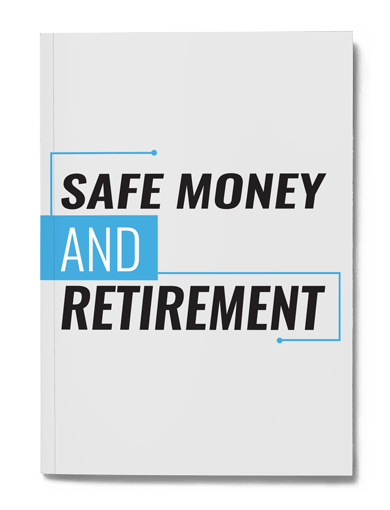 The caution here is that you could have fewer years to build retirement savings than you think – so, the earlier you start and the more you save before your mid-fifties, the more prepared you may be for a sudden layoff and retirement. Our smartphones, computers, and favorite apps demand our attention every day – perhaps too much of it. The risk is that we may end up paying more notice to our digital personas, debates, and conversations than to our real lives and relationships. You could argue that some of the most popular online communities, through their notifications, have created habit loops to draw in users throughout the day (and take them away from their priorities). Routine detachment may help to reduce that risk. Schedule a 24-hour or 48-hour break not just from your go-to apps, but from your devices: your computer, your tablet, your smartphone. Even a 12-hour break could allow you to focus your attention more productively at work or more usefully at home. Checking (or responding to) your email once a day, makes you feel less burdened and less distracted by sudden, and perhaps inessential, requests. Think of how often ten minutes spent responding to one email can turn into an hour or how five minutes spent looking at a social media account can become a half hour. Those minutes may be better spent in an “analog” way. While the oven is preheating to 350°F, spread the oats evenly in a 9” x 13” pan. Put them in the oven and toast for about 15 minutes, stirring once or twice. Meanwhile, line a 9” x 9” pan with parchment paper or foil, leaving a few extra inches on each side, so you can tent the bars after the granola mixture is transferred to the pan. Heat the oil in a small saucepan and add the brown sugar, maple syrup, honey, vanilla, cinnamon, and nutmeg; bring it to a simmer over medium-high heat. Stir until the brown sugar dissolves, then turn off the burner. Add the oats in a large bowl, pour the hot liquid over the oats, and stir to coat evenly. Stir in all your “extras,” then add the mixture into the prepared pan. Fold the extra parchment or foil over the top of the mixture and press to flatten the granola, evenly filling the pan. Cool the bars for about an hour or put them in the freezer to cool more quickly. Invert the pan to transfer cooled bars onto a cutting board and set aside the parchment or foil. Slice the bars to the desired size and arrange them in a single layer onto the foil or parchment. Melt the chocolate in a small saucepan over low heat. Drizzle the chocolate over the bars with a spoon, then enjoy! The latest Department of Labor jobs report suggests an economy with plenty of forward momentum. Employers added 312,000 net new jobs in December, the most in ten months. The main jobless rate rose 0.2% to 3.9% as more Americans entered the labor force; the U-6 rate, measuring underemployment, held at 7.6%. Last month, wages were improving at a rate of 3.2% per year, an increase of 0.1% from the prior report. November’s job gain was revised up to 176,000 from the previously reported 155,000. In December, the Institute for Supply Management’s purchasing manager index, tracking business activity among the nation’s factories, dipped to 54.1. This reading indicates healthy expansion for the sector; on the other hand, this was the index’s lowest level in 25 months. It was at 59.3 in November. WTI crude just snapped a 3-week losing streak. Futures settled at $47.96 per barrel on the NYMEX, rising 5.8% in four trading days. Some analysts credited the advance to reduced worries about a recession, citing the excellent December hiring numbers and the renewed U.S.-China trade negotiations. Three encouraging developments brought out the bulls at the end of the week. The federal government’s December employment report was one pleasant surprise. Another came when Federal Reserve chair Jerome Powell said that the central bank was amenable to adjusting monetary policy and would be patient about raising rates this year. Lastly, China announced plans to cut taxes and inject money into its banking system, and additionally, discussions on trade issues with the U.S. would resume this week. Friday, the S&P 500 climbed 3.43% to advance 1.00% on the new year to 2,531.94. The Nasdaq added 1.56% for the week to reach 6,738.86 at Friday’s close; the Dow Industrials, 0.45%, to settle at 23,433.16.
. A small business can insure itself with coverage at relatively low limits to start, and then, increase them as time passes. December 2018 will be remembered for its volatility and its challenges. The S&P 500 flirted with bear market territory, dropping 10.16% for the month. Appetite for risk declined here and abroad in the face of tariffs, concerns about the Federal Reserve raising interest rates too quickly, a federal government shutdown, and questions about the Brexit. It was also a difficult month for commodities. In contrast, Main Street seemed in good shape: low unemployment, high consumer confidence, and strong consumer spending were all evident. While the Federal Reserve certainly pays attention to Wall Street’s mood, it adjusts its monetary policy in respect to the economy, not the preferences of market participants. In December, the central bank did not exactly tell investors what they wanted to hear. Following the announcement of another quarter-point rate hike (the target range is now 2.25-2.5%), Fed chair Jerome Powell stated that monetary policy “does not need to be accommodative,” and affirmed that the Fed would continue to remove up to $50 billion per month of Treasury and mortgage-backed securities from its balance sheet. According to the latest Fed dot-plot, there would be no pause in tightening: two rate hikes were still envisioned for 2019. Major indices fell sharply after Powell’s remarks. To justify its stance, the Fed could point to a number of economic indicators. The manufacturing and service sectors were seeing considerable expansion, by the look of the Institute for Supply Management’s November purchasing manager indices. ISM’s non-manufacturing PMI rose 0.4 points to 60.7, and its factory PMI climbed 1.6 points to 59.3; these were great readings. (Additionally, the Federal Reserve said that industrial production rose 0.6% in November.) Department of Commerce data showed personal spending up 0.4% in October and retail sales advancing a decent 0.2%. Consumer confidence remained high. The University of Michigan’s index finished December at 98.3, higher than its final November mark of 97.5. The Conference Board’s monthly gauge came in at 128.1 – notably below its (revised) November reading of 136.4, but still at an impressive level. The Consumer Price Index was flat in November. The main reason? Cheaper fuel. Gasoline prices dropped 4.2%. Annualized inflation weakened to 2.2%, the smallest advance seen since February. Wholesale inflation, as measured by the Producer Price Index, ticked north 0.1%; in October, the gain was 0.6%. Job creation did fall short of expectations in the eleventh month of the year. Employers added 155,000 net new workers to their payrolls in November, the Department of Labor stated, and the October increase was revised down to 237,000. A Bloomberg survey of analysts projected a November jobs gain of 198,000. Headline unemployment stayed remarkably low, just 3.7%; the U-6 rate, which also counts the underemployed, rose 0.2% to 7.6%. Annualized wage growth remained at 3.1%. Average net monthly payroll growth for the September-November period was 170,000. By December, the ongoing U.S.-China trade dispute had cooled a bit, with negotiations continuing. December 1 marked the start of a 90-day “ceasefire,” with both nations agreeing not to impose additional import taxes until late in the first quarter of 2019. China actually scaled back some tariffs as the year ended; the U.S. was set to boost tariffs on as much as $200 billion of Chinese goods effective this month. Lastly, the end of 2018 was very good for retailers. Mastercard Pulse measured a 5.1% year-over-year increase in retail purchases between November 1 and December 24, resulting more than $850 billion in purchases – the best holiday retail sales season in six years. In December, the United Kingdom witnessed a parliamentary deadlock over the Brexit, with Prime Minister Theresa May withdrawing a scheduled vote over her deal with the European Union in the face of probable legislative defeat. In fact, as Christmas approached, there was no clear majority in Parliament favoring any of the Brexit options: May’s deal, the no-deal Brexit (an outcome that would dismay corporations), a “managed” no-deal, or another national vote on the matter. The U.K.’s March 29 deadline to leave the E.U. remains. In other euro area news, yearly inflation fell sharply in the region to 1.9% in November, descending from 2.2% in October. While China’s statistics bureau said recently that the country was on track to reach its 6.5% economic growth target for 2018, signs of a slowdown emerged. In December, the country’s factory output contracted for the first time in nearly three years, with its official manufacturing PMI falling to 49.4. The November Markit manufacturing PMIs for other key Asian economies indicated either minor month-over-month factory sector expansion (slightly above 50) or contraction (below 50). Japan’s Markit PMI came in at 51.8 (though it recovered to 52.4 in December); Taiwan’s, at 48.4; South Korea’s, at 48.6. Yes, December brought substantial losses for other major equity benchmarks – though generally speaking, the losses were smaller than the ones seen in the U.S. While the Nikkei 225 slid 10.10% last month, the common December loss was single-digit: 5.76% for the TSX Composite, 1.53% for the Bovespa, only 0.22% for the Bolsa, 6.55% for the DAX, 5.46% for the CAC-40, 3.61% for the FTSE 100, 5.92% for the IBEX 35, 2.49% for the Hang Seng, 4.14% for the Shanghai Composite, and just a respective 0.35% and 0.13% for the Sensex and the Nifty 50. How about some of the regional and multinational indices? Well, the MSCI World slipped 7.71%, while the MSCI Emerging Markets declined 2.92%. The FTSE Eurofirst 300 took a 5.44% loss. On a positive note, two emerging market benchmarks saw double-digit gains in 2018: Russia’s Micex advanced 12.16%; Brazil’s Bovespa, 15.03%. Dollar strength put pressure on this sector in 2018; the U.S. Dollar Index gained 4.64% for the year, a performance better than that of many commodities. Gold and silver moved up in December. The yellow metal gained 5.11% to reach $1,284.50 on the COMEX on New Year’s Eve. Silver rose 9.90% for the month to $15.54 on the COMEX. Across 2018, gold lost 2.42%; silver, 9.14%. Copper retreated 5.17% last month, and platinum settled 1.29% lower. Oil prices kept falling. In December, WTI crude declined 9.64% to finish out the year at $45.83 on the NYMEX. For all of 2018, crude retreated 24.05%. Unleaded gasoline suffered a 7.45% December setback. Heating oil fell 7.83%. All of that paled next to natural gas, which plunged 36.01%. Most key crops also went negative on the month: soybeans lost 1.26%; wheat, 2.42%; coffee, 2.88%; sugar, 3.50%; cotton, 8.52%. Cocoa and corn were notable exceptions, the former advancing 11.85%, and the latter, 2.46%. More homes sold in November – more existing homes, that is. The National Association of Realtors said that resales improved 1.9% in the penultimate month of the year, and that followed the 1.4% gain seen in October. The trend might not continue, though, as NAR’s pending home sales index retreated 0.7% in November. (Due to the federal government shutdown, the Census Bureau’s November new home sales report was still pending at this writing.) Housing starts and building permits were both up for November: groundbreaking increased 3.2%, and the pace of permits issued improved 5.0%. 30-year FRM, 4.81%; 15-year FRM, 4.25%; 5/1-year ARM, 4.12%. By the December 27 Freddie Mac survey, everything was cheaper: 30-year FRM, 4.55%; 15-year FRM, 4.01%; 5/1-year ARM, 4.00%. The NAR reported a median existing home sale price of $257,700 in November, up 4.2% from November 2017. Another key measure of annualized gains, the 20-city composite S&P CoreLogic Case-Shiller home price index, had risen 5.0% year-over-year through October.
. A lower-interest card means a greater percentage of your payments will be applied to principal rather than interest. During one of the most volatile months in recent Wall Street history, the S&P 500 had nine intraday moves of at least 1% (as opposed to eight such instances during all of 2017), and the Dow Jones Industrial Average gained 1,000 points in a day for the first time. The ups and downs tested the patience of investors large and small. When the month ended, the most esteemed Wall Street indices were considerably lower. The S&P 500 ended the year at 2,506.85; the Dow, at 23,327.46; the Nasdaq Composite, at 6,635.28. The small-cap Russell 2000 wrapped up 2018 at 1,348.56, taking a 12.94% December fall and losing 12.18% for the year. The CBOE VIX soared 54.62% for the month and 130.25% for 2018, settling at 25.42 on December 31. At this moment, investors old and young are looking at their portfolios and wondering what moves might be appropriate. How about no moves at all? At its core, a saving and investment strategy for a pre-retiree is developed based on risk tolerance, time horizon, and goals, and that big-picture approach takes episodes of market instability (and market downturns) into account. A deviation from that strategy may be ill-advised. If you are wondering about the outlook for Wall Street for 2019, many prognostications are bullish, some to remarkable degree. recently polled a range of Wall Street investment strategists, and they thought the S&P 500 would gain about 25% this year, on average. Is this just wishful thinking, drenched in blue sky? Anything is possible, but to encourage returns like that, it might help to have a pause in tightening by the Fed, an end to the trade war between China and the U.S., a comeback for oil, and earnings calls that contradict worries about corporations becoming slightly less profitable. January will likely see more of the volatility witnessed in December, hopefully less pronounced. This month and this year, investors will appreciate the core principle of diversification, for little is certain about the next few months on Wall Street. Wall Street began 2018 in rally mode, as enthusiasm for the 2017 Tax Cuts and Jobs Act spilled over into the New Year. Strong economic news encouraged investors, who put aside fears that rising inflation may lead to higher interest rates. What Wall Street did not see coming were the spring and summer trade disputes with China, Canada, Mexico, and the European Union. Fear of a global economic slowdown contributed to a sharp decline in stock prices in October. U.S. economic growth forecasts were tempered in November for 2019, with bulls and bears engaged in a fierce tug-of-war as the year came to a close. At the close of its September 2018 meeting, the Federal Reserve raised the federal funds rate to 2.25%, a full percentage point higher than it was a year earlier. Federal Reserve Chair Jerome Powell appeared to change his stance on monetary policy, saying interest rates were “just below” a neutral level. Prior to that, he indicated rates were a “long way” from neutral. Rising interest rates and robust domestic growth in 2018 lead to a strengthening of the U.S. dollar. A strong U.S. dollar may negatively affect profits of U.S.-based multinational companies, since it may make their products more expensive to overseas buyers. This will also be something to watch in the coming year. The trend of higher interest rates in 2018 was also felt in the real estate market. The average rate on a 30-year conventional home loan stood at 3.95% in January 2018. At year’s end, it was hovering near 5% according to Freddie Mac. This material was prepared by MarketingPro, Inc., and does not necessarily represent the views of the presenting party, nor their affiliates. The information herein has been derived from sources believed to be accurate. Please note – investing involves risk, and past performance is no guarantee of future results. Investments will fluctuate and when redeemed may be worth more or less than when originally invested. This information should not be construed as investment, tax or legal advice and may not be relied on for the purpose of avoiding any Federal tax penalty. This is neither a solicitation nor recommendation to purchase or sell any investment or insurance product or service, and should not be relied upon as such. All market indices discussed are unmanaged and are not illustrative of any particular investment. Indices do not incur management fees, costs, or expenses. Investors cannot invest directly in indices. All economic and performance data is historical and not indicative of future results. The Dow Jones Industrial Average is a price-weighted index of 30 actively traded blue-chip stocks. The NASDAQ Composite Index is a market-weighted index of all over-the-counter common stocks traded on the National Association of Securities Dealers Automated Quotation System. The Standard & Poor’s 500 (S&P 500) is a market-cap weighted index composed of the common stocks of 500 leading companies in leading industries of the U.S. economy. NYSE Group, Inc. (NYSE:NYX) operates two securities exchanges: the New York Stock Exchange (the “NYSE”) and NYSE Arca (formerly known as the Archipelago Exchange, or ArcaEx® , and the Pacific Exchange). NYSE Group is a leading provider of securities listing, trading and market data products and services. The New York Mercantile Exchange, Inc. (NYMEX) is the world’s largest physical commodity futures exchange and the preeminent trading forum for energy and precious metals, with trading conducted through two divisions – the NYMEX Division, home to the energy, platinum, and palladium markets, and the COMEX Division, on which all other metals trade. Additional risks are associated with international investing, such as currency fluctuations, political and economic instability and differences in accounting standards. This material represents an assessment of the market environment at a specific point in time and is not intended to be a forecast of future events, or a guarantee of future results. MarketingPro, Inc. is not affiliated with any person or firm that may be providing this information to you. The publisher is not engaged in rendering legal, accounting or other professional services. If assistance is needed, the reader is advised to engage the services of a competent professional. The content is developed from sources believed to be providing accurate information. The information in this material is not intended as tax or legal advice. Please consult legal or tax professionals for specific information regarding your individual situation. The opinions expressed and material provided are for general information and should not be considered a solicitation for the purchase or sale of any security. Investing involves risks, and investment decisions should be based on your own goals, time horizon and tolerance for risk. The return and principal value of investments will fluctuate as market conditions change. When sold, investments may be worth more or less than their original cost. The forecasts or forward-looking statements are based on assumptions, may not materialize and are subject to revision without notice. In this week’s recap: the Fed disappoints the markets, more homes move, consumer spending and sentiment look solid, and oil falls. Federal Reserve policymakers voted unanimously last week to raise the benchmark interest rate by another 0.25%, putting the main overnight lending rate in the 2.25-2.50% range. Investors hoped for a hint of a pause in the Fed’s tightening plans, yet no such signal emerged. The central bank’s latest dot-plot showed a consensus projection of two hikes rather than three next year, but at the press conference following the rate move, Fed chairman Jerome Powell commented that monetary policy “does not need to be accommodative,” and noted that the Fed would continue to thin its balance sheet by up to $50 billion per month. Stocks dropped significantly in the wake of those statements. During an abysmal week for equities, the Dow Industrials fell 6.87% to 22,445.37; the Nasdaq Composite, 8.36% to 6,332.99; the S&P 500, 7.05% to 2,416.62. The National Association of Realtors just reported a 1.9% gain for existing home sales in November; that follows a 1.4% October increase. In addition, builders started more projects last month. The Census Bureau said that groundbreaking improved 3.2% in November as the pace of building permits picked up 5.0%. Households boosted their spending by 0.4% in November, according to the Department of Commerce; October’s gain was revised to 0.8%. The final December University of Michigan consumer sentiment index (released Friday) showed a reading of 98.3, which was 0.8 points higher than its preliminary mark for the month. Analysts polled by MarketWatch had projected a final December reading of 97.2. WTI crude also had a tough time last week. Futures settled down at $45.59 on the NYMEX Friday. Oil fell 11% week-over-week, a slide aided by a Baker Hughes report showing a jump in the number of active rigs.
. As a rule, the I.R.S. does not initially contact people about tax issues over the Internet. U.S. stock and bond markets wrap up their trading sessions early on Monday, with no significant economic news scheduled. | Tuesday, all U.S. financial markets are closed for the Christmas Day holiday. | The October S&P CoreLogic Case-Shiller Home Price Index appears on Wednesday. | Thursday brings the Conference Board’s December consumer confidence index, the November new home sales snapshot from the Census Bureau, and a new initial jobless claims report from the Department of Labor. | The National Association of Realtors presents its November pending home sales index on Friday. LAST WEEK’S RIDDLE: Dave says that the small city he lives in has a municipal building with more than a hundred stories. What building is this? Last week, the latest Consumer Price Index arrived, showing no move for headline inflation in November and a 0.2% core inflation increase. That precisely matched the consensus forecast of economists polled by Reuters. What held the headline CPI in check last month? You can credit a sudden drop in gas prices, which fell 4.2%. Annualized inflation declined to 2.2%. Overall producer prices only rose 0.1% last month, compared to an October ascent of 0.6%. During October, American households boosted their retail spending by 1.1% (originally reported by the Department of Commerce as a gain of 0.8%), but November presented a different story. Sales rose last month, but only by 0.2%. The gain remained at 0.2% with auto buying removed. That was the weekly loss for light sweet crude, influenced by two factors: increasing dollar strength and concerning economic data from China, which made traders wonder if the P.R.C.’s demand for crude could lessen. Oil settled at $51.20 Friday on the NYMEX. Bothered by anxieties about global growth, bulls lost some of their appetite for risk last week. Across five trading days, the S&P 500 ceded 1.26%; the Dow Jones Industrial Average, 1.18%; the Nasdaq Composite, 0.84%. That left them at the following settlements on Friday: S&P, 2,599.95; DJIA, 24,100.51; COMP, 6,910.66. The small-cap Russell 2000 index had it worse, falling 2.57% to 1,410.81 over five days. While all this happened, volatility actually declined, at least according to the CBOE VIX; the leading gauge of Wall Street instability retreated 6.89% for the week to 21.63.
. What building is this? Review your approach to investing and make sure it suits your objectives. Look over your portfolio positions and revisit your asset allocation. How many potential credits and/or deductions can you and your tax professional find before the year ends? Examine accelerated depreciation, R&D credits, the Work Opportunity Tax Credit, incentive stock options and certain types of tax-advantaged investments. Your odds of owing Alternative Minimum Tax (AMT) may be reduced in 2018 thanks to the Tax Cuts & Jobs Act. If you do owe AMT during 2018-25, you probably will have to pay less of it (possibly much less) than you would if the TCJA had not been passed. Review any sales of appreciated property and both realized and unrealized losses and gains. Look back at last year’s loss carry-forwards. If you’ve sold securities, gather up cost-basis information. Look for any transactions that could potentially enhance your circumstances. Plan charitable contributions or contributions to education accounts; make any desired cash gifts to family members. The annual federal gift tax exclusion is $15,000 per individual for 2018, meaning you can gift as much as $15,000 to as many individuals as you like this year tax-free. (The limit will stay at $15,000 in 2019.) Married spouses can each make $15,000 gifts. So long as these gifts are within the annual exclusion amount (that is, $15,000 or less), they do not count against the lifetime estate tax exemption amount, which is $11.4 million per individual (and $22.8 million per married couple) in 2019. You could also gift appreciated securities to a charity. If you have owned them for more than a year, you can deduct 100% of their fair market value and legally avoid capital gains tax you would normally incur from selling them. Besides outright gifts, you can explore creating and funding trusts on behalf of your family. The end of the year is also a good time to review any trusts you have in place. Are your policies and beneficiaries up-to-date? Review premium costs and beneficiaries and think about whether your insurance needs have changed. Did you happen to get married or divorced in 2018? Did you move or change jobs? Buy a home or business? Did you lose a family member, or see a severe illness or ailment affect a loved one? Did you reach the point at which Mom or Dad needed assisted living? Was there a new addition to your family this year? Did you receive an inheritance or a gift? All these circumstances can have a financial impact on your life, and even the way you invest and plan for retirement and wind down your career or business. They are worth discussing with the financial or tax professional you know and trust. Lastly, did you reach any of these financially important ages in 2018? Did you turn 70½ this year? If so, you must now take Required Minimum Distributions (RMDs) from your IRA(s). Did you turn 65 this year? If so, you are likely now eligible to apply for Medicare. Did you turn 62 this year? If so, you can choose to apply for Social Security benefits. Did you turn 59½ this year? If so, you may take IRA distributions without a 10% early withdrawal tax penalty. Did you turn 55 this year? If so, you may be allowed to take distributions from your 401(k) without penalty, provided you “separate from service” from your employer (i.e., no longer work at that job). Did you turn 50 this year? If so, you can make “catch-up” contributions to IRAs (and certain other qualified retirement plans). The end of the year is a key time to review your financial “health” and well-being. If you feel you need to address any of the items above, please feel free to email me or give me a call. JB Beckett may be reached at (803) 939-4848 or jb@beckettfinancialgroup.com.